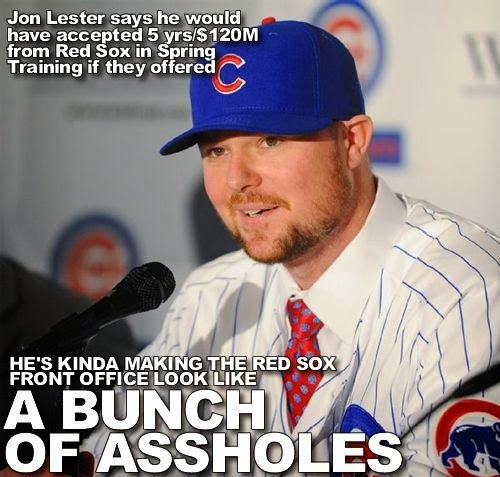 Lester signed with the Cubs for six years and $155 million, with a vesting option for a seventh year. Everyone keeps coming back to the reported four-year, $70 million offer the Red Sox gave to Lester during spring training last season. What if the Red Sox came in with a higher offer — such as the Cliff Lee, five-year, $120 million deal — would Lester have accepted? 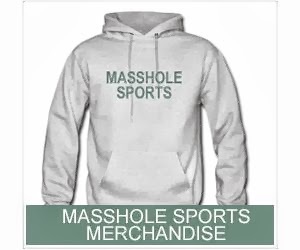 “That is one of those deals where hindsight is 20/20. You go back in time and you look at it and you go, ‘probably yes,’” said Lester.